The country is currently witnessing a wave of protests by female students across universities, which is symptomatic of the institutional harassment that girl students face. 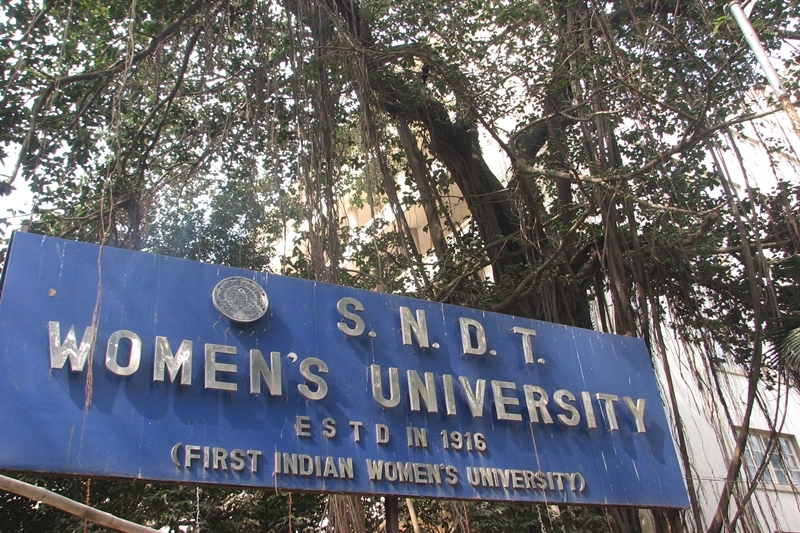 The Juhu hostel campus of Shreemati Nathibai Damodar Thackersey (SNDT) Women’s University erupted in protests on Sunday after the warden allegedly shamed a student over the length of her skirt and then stripped her in her room. According to one of the hostel inmates, the incident took place when a second-year engineering student was headed out in the afternoon and was stopped by the warden, Rachana Zaveri, because the hem of her skirt ended above her knees. The alleged sexual misconduct sparked a protest—over 400 hostellers sat on a dharna till the evening demanding the warden’s immediate dismissal— prompting the police to book the purported harasser for molestation. The protest was called off only after the university management sent the warden on ‘administrative leave’ for four days. Some students claimed this wasn’t the first instance of harassment on the part of the warden. “The warden has often abused, harassed us and made inappropriate comments at us. We have been complaining about her behaviour for long, but instead of taking action against her, the university would reveal the complainants’ identities to the warden. After that, Zaveri would start targeting the complainants and threaten them with dire consequences,” alleged another student. This is not the first case of this kind where female students have resorted to protests over indecent remarks by the authorities over what they wear, curfew timings, and sexual harassment by either fellow students or by the authorities. In 2018 alone, female students across various universities like Hidayatullah National Law University (HNLU), Punjabi University, Allahabad University, Jamia Milia Islamia University, Delhi University, Rajasthan University, Banaras Hindu University (BHU) and Asian College of Journalism (ACJ) have either launched mass movements or protests to express their sentiments against the biased, conciliate and regressive attitudes of the authorities towards female students, their rights and the way they are supposed to behave in either the campus or in their hostels. Take, for instance, the case of Punjabi University, where a month-long protest to extend the curfew timings for girls from 8 p.m. to 10 p.m. just concluded or Delhi University’s mass movement “Pinjra Tod” which has been demanding for the last three years that the university roll back it’s curfew timings across the various girls’ hostels or the students of Central University of Rajasthan who have protested against the unnecessary and unfair surveillance for women hostellers. Or, the case of a premiere law school like HNLU, whose campus appears to have emerged as a safe haven for teachers accused of sexual harassment where the gravity of the situation can be gauged from the number of complaints that were received after one of the students shared a Google document with other students of the university asking them to narrate their stories. Even BHU, situated in the Prime Minister’s very own bastion, Varanasi, saw female students conducting a celebratory evening of resistance on the night of September 23, even as men from the students’ wing of the Rasthriya Swayamsevak Sangh (RSS), Akhil Bharatiya Vidyarthi Parishad (ABVP) assembled at the open mic venue, shouting slogans, which soon turned into abuses hurled at women. The female students responded by making a human chain, but were beaten up while the proctoral staff stood by as mute spectators. Interestingly, the responses of the authorities in all these institutions have mostly been evasive or victim-blaming and shaming rather than addressing the predicaments or taking responsibility, let alone of being apologetic. HNLU’s 77 complaints of sexual harassment (with the number only increasing as the alumni are complaining of similar harassment during their time) have consistently been buried as the members of gender sensitisation committee have been revealing victim names to the accused. In turn, the victims were humiliated publicly and in private, by the accused teachers. Though many campuses have constituted committees to address sexual harassment, the mechanism often doesn’t serve the purpose. The panel members, who are known for their insensitive approach towards the survivors, refuse to be sensitised on gender issues and often accuse students of ‘preaching’ the faculty. This begs answer to a burning question,- are our Universities and authorities only creating a mirage of a conducive and fair environment for females who want to attain higher education?